While the House debated the Kansas-Nebraska Act. The Black Warrior’s owners regained and her cargo. Secretary of State William L. Marcy sent instructions for the American minister in Spain, Pierre Soulé, to demand a $300,000 indemnity and that the Queen express her displeasure with the officials responsible for the ship’s seizure in Cuba, whatever the latter meant. With all the delays in getting a message across the Atlantic, Soulé did not present the American demands to the Spanish Foreign Minister until April 8. Cuban authorities seized the ship on February 28, 1854 and its owners had it back by March 16, but considering that the Captain-General of Cuba intended the seizure as a provocation and everyone knew that, pursuing the matter allowed for the address of related issues. Spain had forty-eight hours from the receipt of the note to give a clear answer, with the implication that in the absence of one the shooting would soon commence. Soulé had not run this ultimatum by Marcy. The Secretary of State’s instructions told him to deliver the first note, without any deadline or the demand to sack the officials involved, and then call it quits on the subject until he heard back from Spain. In Soulé’s defense, Spain did have a history of passing the buck around over this kind of thing. The Consul in Havana would complain to the Captain-General, who would say that Madrid did not authorize him to negotiate directly with foreign powers. Protests would go to Madrid, which would claim ignorance and refer the matter back to Havana. 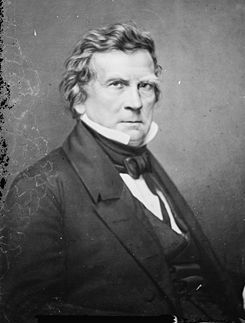 But Marcy and Pierce knew that well enough that Pierce alluded to it in his message to Congress, using martial language that so alarmed Joshua Giddings. They had not given Soulé any kind of instructions to speed the process along this way and Marcy especially probably got a few gray hairs when he heard of it. Furthermore, Soulé’s cultivated his impatience for public consumption. He presented his first note on Saturday, April 8. Holy Week began that year on Sunday, April 9. Soulé grew up in France. He had lived in New Orleans. He knew all about Holy Week. He also could not have missed that the proper form of address for the Queen called her Her Catholic Majesty. He surely used the style frequently himself. Anybody would expect a very Catholic country with a very Catholic government full of very Catholic officials to have some distractions on Holy Week which might delay official business. Clearly, he saw Holy Week at hand and guessed correctly that he could use a normal delay as an excuse to escalate things. The beginning of March, 1854 gave Pierre Soulé his big chance to secure Cuba for the United States and slavery, even with the duels. The Captain-General of Cuba, the Marqués de la Pezuela, seized the American steamer Black Warrior when it stopped in Havana in transit to New York from Mobile with a load of cotton. The ship’s manifest left it in technical breach of Spanish revenue laws, even if it did so by longstanding convention. In other circumstances this could have come down to a misunderstanding. Maybe somebody new at the docks didn’t know the usual procedure and upheld the letter of the law instead of letting things slide. But the Spanish dispatched the Marqués de la Pezuela with an eye to defending Cuba from filibusters like John A. Quitman. His program of emancipation, interracial marriage, and arming Cuba’s black population to fight off any Americans or others coming ashore generated a bit more panic than he probably wanted, giving the filibustering a new urgency. That said, we have more than circumstance to go by in calling the seizure a deliberate warning shot to American adventurers. Matters like these fell under the purview of the American consul in Havana. The Spanish agreed to that and had long accepted an American consul in Cuba for just that purpose. The Marqués de la Pezuela simply refused to deal with the Acting Consul, eventually going so far as to tell him to mind his own business. The instructions did not fly across the Atlantic via satellite, of course. Nor did they chirp along telegraph lines not yet run under the ocean. Marcy’s messenger did not set sail until March 17. Soulé’s first instructions did not reach him until April 4 and the full set did not come into his hands until April 7, 1854. By this time, the Black Warrior‘s owners had paid their fine. In fact, they paid it the day before Marcy’s courier left the United States. The paid fine might have satisfied the Spanish officials, but even with the ship and cargo back in the possession of their owners the offense against the United States remained to resolve. If nothing else, national honor demanded some kind of remittance of the fine. But really, Soulé had a perfectly good crisis on his hands. Why let that go to waste? The Soulés, more Pierre than Nelvil, burned plenty of bridges in Madrid. Demonstrating that you will shoot someone for something someone else said tends to do that. Even sympathetic American newspapers looked a bit askance at the elder Soulé’s judgment. What if business of state came up and he had to deal with the Marquis de Turgot, or some friend of his? Who would Soulé shoot next? The Pierce administration opted not to recall him at once, but did have a replacement in mind in the likely event that Soulé would do something else. these, my troubles and trials, have, by no means injured my position here, but, on the contrary, have gathered around me the whole Democracy of Madrid and elicited from both Queens, who hate cordially the French Emperor, and like but little his representative at this court, manifestations from which I am authorized to infer that I have lost no favor with them on account of the same. 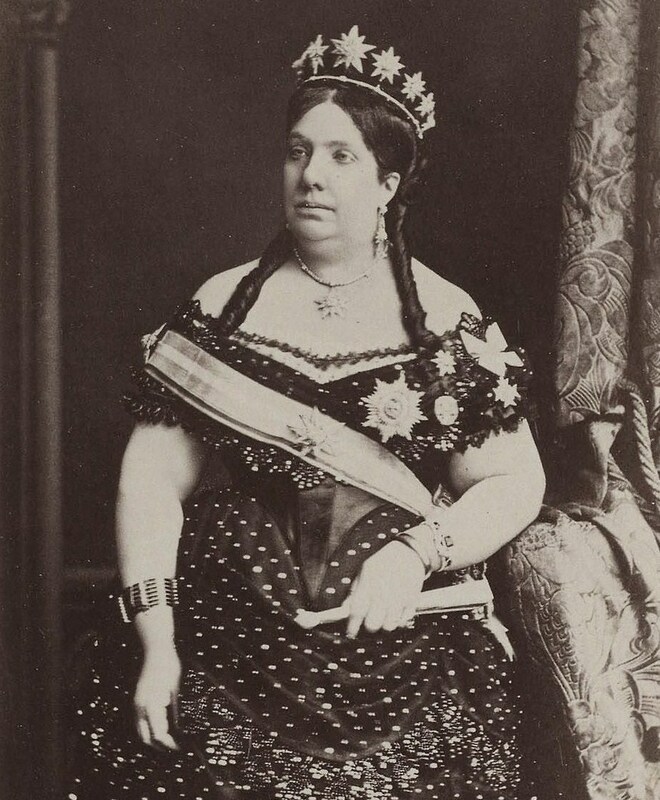 Isabella II of Spain turned 24 in 1854. Her mother, the Queen Mother Maria Christina, had served as her regent for years before. The latter owned much of the Cuba in her own right and her opposition would certainly make any effort to buy the island much more difficult. But the Queen Mother appeared amenable to sale if it could wipe away some of Spain’s debt and avoid Spanish-American conflict. As unreliable and self-serving as Soulé’s words sound, he might have actually had the right of it. On February 25, the Queen and King Consort threw a concert and paid Soulé considerable attention. That continued soon after when the Queen Mother invited him to a ball. The diplomatic establishment in general noticed, so Soulé had not just given in to a fancy. Maybe they really did hate Louis Napoleon. Rumors flew around that Spain would settle its debts in part by selling off Cuba to the United States. If the Spanish came to Soulé with an offer, he would hardly proclaim his hands tied and walk away. Probably with that in mind, Soulé called on the Queen often and said so little about what went on between the two of them that Marcy wrote Buchanan in London to get more information. The Spanish court noticed as well and some wondered what exactly the American minister, aged 53, and the Isabelle II, thirty years his junior, did behind closed doors. It later came out that Soulé had behaved himself. I imagine that stunned quite a few observers more than proof of an affair might have. Rather than keeping romantic company, Soulé had suggested that Spain accept a loan from the US against Cuban revenues with the island as collateral. And by the way, would Spain care to sell off the town of Melilla on the north African coast? Not everyone took these revelations seriously, but the Marquis de Turgot did. Pierre Soulé, disgraced duelist, might just have his moment in the sun after all. Ultimately Isabelle II would make the decision, even if the rest of the court thought him a dangerous lunatic. Back in part one, Pierre Soulé’s son Nelvil challenged the Duke of Alba to a duel to defend his mother’s honor. They swung heavy swords at each other for half an hour and then called it good, promising to burn all the letters the affair generated and put it behind them. The insult came on November 15, 1853. Shortly thereafter Nelvil’s father, the American minister to Spain, came down sick with a fever, sore throat, and possibly pneumonia. Pierre Soulé remained in bed from November 18 until the 30th and did not consider himself fully recovered for another week. Once he had recovered, Soulé hit on the idea of getting satisfaction himself. For the elder Soulé the insult might have burned more than for his son. Nelvil grew up in the United States. Pierre Soulé had suffered firsthand the cruelties of European reactionaries. If his son had claimed the right to pursue the Duke of Alba over the matter, then Soulé could instead go after the Marquis de Turgot. The latter had antagonized Soulé on the grounds of his low birth and youthful revolutionary politics, and he had hosted the party. Surely he had some responsibility for ensuring his guests behaved. On December 14, the day of his son’s duel with the Duke, Secretary Perry of the American legation delivered Soulé’s demand for an apology or a fight. Perry also served as Nelvil’s second against the Duke, making for an eventful day. Turgot sneered that he answered such demands with a pistol and pre-duel negotiations began. His seconds asked Soulé to withdraw the challenge because, after all, Turgot had not insulted his wife. If Soulé had to shoot someone, he ought to shoot the Duke of Alba. Soulé refused to back down. He believed, as he told Marcy when giving an account of himself, that Napoleon III planned the entire insulting affair in order to discredit Soulé and spread hostility to the United States in Spain. Thus the two men met, after having to duck out quickly to dodge the police. They each shot once, missing, but on the second round Soulé’s shot hit the Marquis de Turgot above and to the side of his right knee. It was a piece of bad temper on Soulé’s part, for which the unfortunate host pays by being lamed for life after a long illness. It makes me cross, every time I think of it, that such a blackguardly thing should have been done by our representative. While the usual American hotheads thought Soulé entirely in the right, if for no reason other than his nationality, he made the other prominent ministers in Europe look bad by association, adding still more to the difficulties that a generally anti-American spirit combined with Marcy’s orders on official dress had caused. They got no help from how the European press went wild with inaccurate accounts of the business. Kinder reporters simply called the entire Madrid diplomatic corps mad. The American press split, with some delighted that It certainly didn’t help matters that the Soulé’s had taken haughty Europeans down a peg. Other papers demanded Soulé’s recall. Marcy got the correct story from a friend of his then in Paris, which had Soulé destroying his own effectiveness in Madrid. The duel got Soulé ostracized by the Spanish court, which from then on invited him only to official business where protocol demanded it. He might get it in his head to shoot someone else, after all. Who next? The Queen? we are here too far removed from the theatre where the events occurred, and too ignorant of the many causes which could have created it, to form a decided opinion on the subject; what we can do is to regret sincerely that it happened. In other words, Washington would not recall Soulé but regarded the whole affair as an embarrassment. The Cabinet would not fire him, but if Soulé did them all a favor and resigned they had their eyes on James Gadsden, fresh off his Mexican success, to replace him. Pierre Soulé, Franklin Pierce’s minister to Spain, went to Madrid with instructions to keep his eyes open. Something, perhaps involving John A. Quitman’s filibustering expedition and the Cuban junta that supported it, might just happen. If it did, Soulé must stand ready. His mission might suddenly involve negotiating a treaty to cede the island. Pierce instructed Soulé not to attempt purchase negotiations on the grounds that the junta found such things offensively colonial and, doubtless, with a mind to the far cheaper five finger discount. You really can’t beat that price for a tropical island slavery paradise. But when Soulé’s big chance came, when Cuban authorities seized the Black Warrior, and the United States Army and Navy might just render Quitman’s expedition superfluous, Soulé stood in disgrace. The diplomat had taken it upon himself to shoot the French ambassador, a procedure not found in most manuals of international statecraft. Why would he do a thing like that? 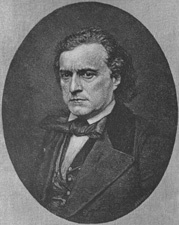 On November 15, 1853, before the 33rd Congress met, before Douglas went on his carriage ride with Archibald Dixon, before Nebraska and anti-Nebraska and Republicans, in an era that must have seemed ages gone six months later, Louis Félix Étienne, the Marquis de Turgot, threw a party in Madrid in honor of both the French Empress and the baptism of the Duke and Duchess of Alba’s new daughter. Men like the Marquis de Turgot had tossed Soulé in prison for his revolutionary politics back in the day. Further complicating things, Soulé had met the Marquis’ boss, Louis Napoleon, back in 1849 when the latter still served as president of France instead of its emperor. From that point on, Napoleon III fairly loathed Soulé. The latter, seeing in Napoleon an autocrat like those he had opposed in his youth, returned the feeling. Napoleon III married a Spanish noblewoman, the Duchess of Alba’s sister. Thus on two fronts, the Marquis de Turgot’s party must have looked like a reactionary gala indeed to Soulé. But he went anyway and there fashion returns to the story. Soulé himself cut quite the figure but his wife proved the belle of the ball. Even if the hosts did not especially care for the Soulé’s, and they did not, Madame Soulé’s fashion choices stood out. As she passed the Countess de Montijo, the mother of the French Empress, remarked to her son-in-law the Duke of Alba and the Marquis de Turgot about just how much of her chest Madame Soulé chose to display. The Duke, in her hearing, likened Henrietta Soulé to Marie de Bourgogne, who had allegedly cheated on the king of France centuries before. Educated, refined aristocrats do not say that a woman’s dress implies that her favors come to all with enough cash on hand. They imply it with historical allusions. Henrietta Soulé grew up speaking the French with which the Duke of Alba had insulted her. So did her son, Nelvil, who also heard. He demanded to know the scoundrel who said such things of his mother. Soulé pere gave the Duke a push, but let matters drop. Nelvil did not and sent off a letter demanding satisfaction. The Duke might have obliged, but reports of the event hit the London papers. He suspected the loose lips of the younger Soulé and asked how the London papers found out about the affair. Nelvil refused to answer. With things now public and at an impasse, the prickly honor codes that both men subscribed to demanded a duel. 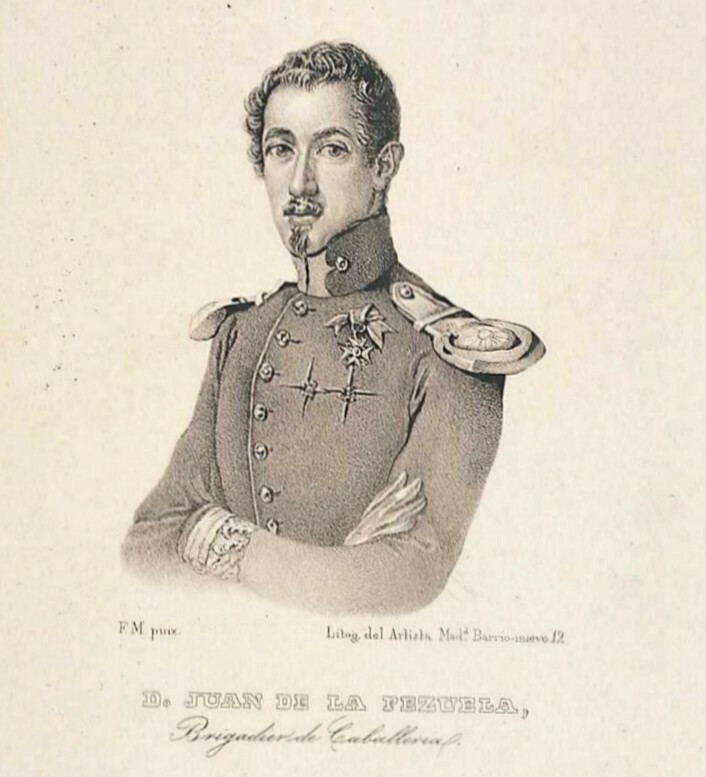 On December 14, 1853, aggrieved son and Spanish aristocrat met one another with heavy swords. They swung their blades for half an hour, until both had thoroughly spent themselves. As they did so, their seconds discussed matters and reached a settlement: Both men had proved their honor, so why not burn all the letters and call it a day? Sanity prevailed and they did just that. Sanity did not, however, prove quite equal to containing the passions of Nelvil’s father. By the time Joshua Giddings rose to oppose the Pierce administration’s plan to get Cuba by war, or induce Spain to sell with the threat of war, over the Black Warrior affair (Parts 1, 2, 3, 4), the Senate had signed off on the Kansas–Nebraska Act. That chamber did so on March 3. The Cuban port authorities seized the ship on February 28. Giddings sp0ke on March 16, as the House stared down the barrel of its own Kansas-Nebraska debates and vote. Giddings spoke for many in the increasingly antislavery North. In theory, William H. Marcy had control of American foreign policy on behalf of Franklin Pierce. Pierce had chosen him to lead the State Department and the Senate confirmed him as Secretary of State. He often had reason to doubt that those facts mattered, but he did have the authority to send instructions to Pierce’s minister in Madrid, exiled French revolutionary turned proslavery zealot Pierre Soulé. That incendiary politician, former Louisiana senator, had warmed to the Cuban junta in New York and its revolutionary, with a side of future annexation, goals on hearing from the Pierce administration just what it intended toward the island. Now he had his big chance to achieve what he understood as the whole goal of his mission and be the diplomat who negotiated Cuba’s purchase or oversaw the opening of the war from Madrid. Soulé had just one problem dogging him at this critical moment in his career: everybody in Madrid high society wanted nothing to do with him. That high society emphatically included the court to which he had to represent American interests. Matters had not begun that way, despite Soulé’s involvement with Cuban revolutionaries. Marcy had issued a circular letter ordering American diplomats to appear in the simple clothes of an American citizen, a plain black suit, rather than elaborate court uniforms. That strategy worked well enough for Ben Franklin in Paris during the Revolution. Why not now? the black-velvet clothes, richly embroidered, the black stockings, a black chapeau, and a black dress sword set off his black eyes, black locks, and a pale complexion, and gave him a striking appearance. He looked indeed, not like the philosopher whose costume he imitated, but rather like the master of Ravenswood. Forget charming, plain Franklin. Pierre Soulé had him beat. The Queen and court agreed. He must have cut a striking figure indeed to the Europeans. The American press criticized him for giving up his republican simplicity to dress like an Old Europe aristocrat, suggesting that he would do better to dress as a monkey than follow the bidding of crusty nobility. But Madrid’s opinion counted in Madrid, not that of far away American newspaper men. The Spanish court liked the outfit and liked Soulé. How, then, did he find himself in disgrace and ostracized when he received Marcy’s new instructions regarding Cuba and the Black Warrior? Pierre Soulé offended polite society in one of those ways most scandalous to the European glitterati: He shot one of them. Wait, what? Honor maybe, but what did Cuba do that threatened American security? It did comment the Florida Strait, a major artery, but Spain had not closed the strait or even harassed traffic within it. Madrid’s men in Havana seized only a single ship then docked there. So what threat? Every member within the sound of my voice knows its meaning. The policy of Cuba, as it is now known and read of all men, is a “progress towards civilization; it is the emancipation of her slaves, an effort to strike off the shackles of her bondmen, and to allow them to stand forth clothed with the attributes of humanity.” That is the policy which the President considers as “threatening the honor and security of these States.” He then, in the last paragraph, advises a preparation for war. This, then, is the policy which we are called upon to guard against, and to involve ourselves in war, to prevent which we are to resort to by arms, to the last dreadful resort of battle and deadly strife. In order to preevent the progress of civilization and freedom in Cuba we must prepare to send our countrymen to premature graves. Our freemen are therefore to die that Cuban slaves may continue to sigh and groan in chains. The President calls for authority to resist these encroachments upon the barbarous institution of slavery in Cuba. He no longer holds to non-intervention; that only applies to Nebraska; but in Cuba he will interfere to maintain slavery, at the point of the bayonet, at the expense of our blood, our treasure, and our honor. If Congress should keep its filthy, interfering, strife-causing hands off slavery in Nebraska, where it had full authority and jurisdiction, then why must it lay those same hands on slavery in Cuba where it had neither? 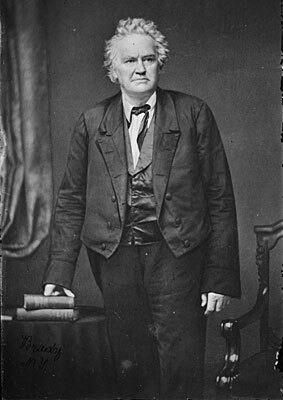 Joshua Giddings called out Franklin Pierce in the House of Representatives over the latter’s apparent eagerness to go to war with Cuba over the seizure of the Black Warrior. He and others had already taken Pierce to task for his eagerness to spread slavery to Nebraska, and would continue to do so. Giddings opened with how the Spanish authorities had every right to enforce their revenue laws, which everyone agreed the ship had violated. Furthermore, Pierce did not even wait for the Spanish to give any kind of answer to American concerns before starting in with warmongering. Gentlemen of the House of Representatives, has this nation pocketed insults? Where-where are the Representatives of this nation; where is the former Executive who has pocketed an insult from Spain -that inert and decayed Government? When and where, sir, has the American flag been insulted by Spain? On what occasion? What officer of this Government has demeaned himself as so unworthy of the name of an American citizen? -and when did this Government sit silent under insult from the feminine majesty of Spain- that weak and powerless kingdom? coming from the people of the United States, and authorized and commissioned by them, we are authorized to act upon our own judgments -our own responsibility; and we are not to sit here and listen to lectures from the Executive upon the maintenance of national honor or our duties. We were not sent here to be dictated to from that or any other quarter; and I would that members of this Hall should feel the dignity of their position, and hurl back from this Hall such efforts to excite our indignation against the powerless Government of Her Most Christian Majesty of Spain. Maybe Pierce’s democratic lackeys would take that lecture to heart, but Giddings and his fellow anti-Nebraska men would not. They knew their own business, thank you very much. In the middle of the Kansas–Nebraska crisis, the United states now had a Cuba crisis. Riding a wave of outrage over the seizure of the Black Warrior on a legal technicality, but really as a show of strength by the new Spanish governor, the Pierce administration threatened war. If Madrid would not give Washington satisfaction, Pierce proposed to take it. He had his attorney-general, Cuba annexation fan Caleb Cushing, leaning on him to make a war of it. He had the Congress up in arms. 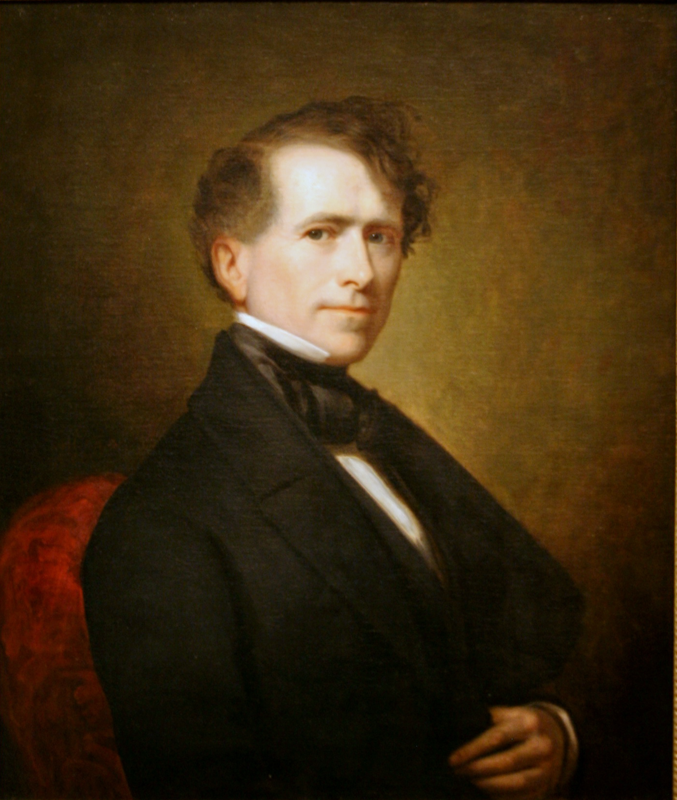 Or rather, Franklin Pierce had half the Congress up in arms about the Black Warrior, more or less. The same people alarmed by the Africanization of Cuba under the Marqués de la Pezuela now cried out for war, or at the very least giving filibusters like John A. Quitman a free hand. The men inflamed by the Kansas-Nebraska Act, antislavery northerners, found they had not much more outrage in them over the seizure of the ship than their proslavery opposites had over the repeal of the Missouri Compromise. Had the Pierce administration not brought both crises on itself, one could feel some sympathy. But Pierce’s policy, whether he chose it himself or had it selected by Jefferson Davis and Caleb Cushing in private, did a great deal to bring things to this point at home and in Cuba. I would call the attention of the House and the country to the fact that it is precisely teh same case in all its bearings which was pursued by our authorities in regard to the British steamers of the Cunard line. They have, on more than one occasion, been seized for having goods on board in violation of our revenue laws. One was seized in New York precisely as the Black Warrior was seized. In Boston, since we convened here, another instance occurred. They were seized, and those goods not mentioned in the manifest were confiscated. No voice has come from Old England in remonstrance. She has not called on her Parliament to prepare for war. She expects her citizens hwo land in our ports to conform to the laws and to the revenue system which we have established. Pierce, for all his crying about how extraordinary and outrageous he found the seizure, had revenue officers under his supervision that did the same thing. Furthermore, Giddings pointed out that far from picking just on American ships, the Cuban authorities had treated British ships under the same system. He had it from the American consul at Havana, who learned the fact from his British counterpart and passed it on in the documents Pierce himself supplied to the House. If the vessels of other nations got seized for violations, why not American vessels also? All of this had to smell a bit like Stephen Douglas’ line about how the nation repealed the Missouri Compromise back in 1850, to universal acclaim that no one noticed at the time.